Good morning. It's Tuesday, Jan. 29. • Lawmakers push a ban on the culture of fur trapping. • PG&E starts skipping payments to wildfire victims. 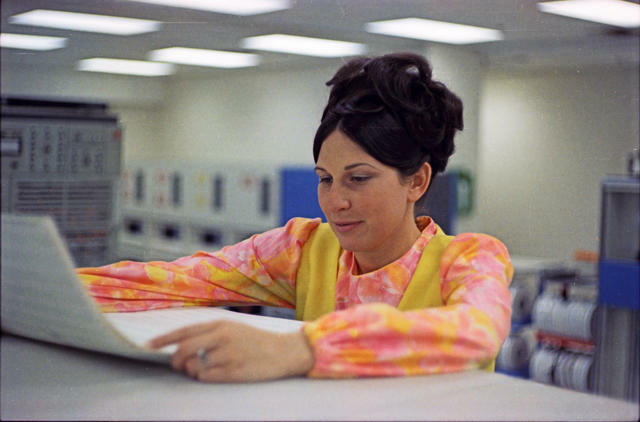 • And a look back at the women coders of 1960s Oakland. Insurance claims from three devastating wildfires in November have surpassed $11.4 billion, making the infernos among the costliest in California history, officials said. An unprecedented 46,000 damage claims were filed as communities sought to rebuild from the Camp, Woolsey, and Hill fires. Debra Kenyon, a victim of the 2015 Butte Fire in Northern California. PG&E has skipped payments to families whose homes were lost. PG&E filed for bankruptcy early Tuesday. Among those watching nervously are PG&E pensioners and wildfire victims who are owed settlements. 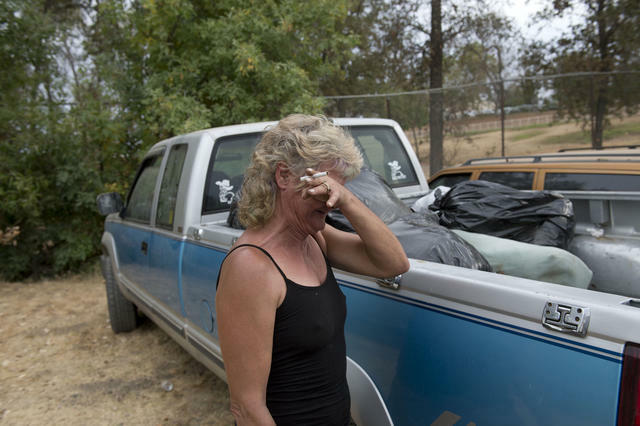 The utility has already begun skipping payments it agreed to make to victims of a 2015 blaze in the Sierra foothills, saying money was too tight. California's legal marijuana sellers have complained bitterly about having to compete against the black market. Now a group of state lawmakers has proposed a bill to slash taxes as a way to stimulate the industry. L.A. Times | A.P. 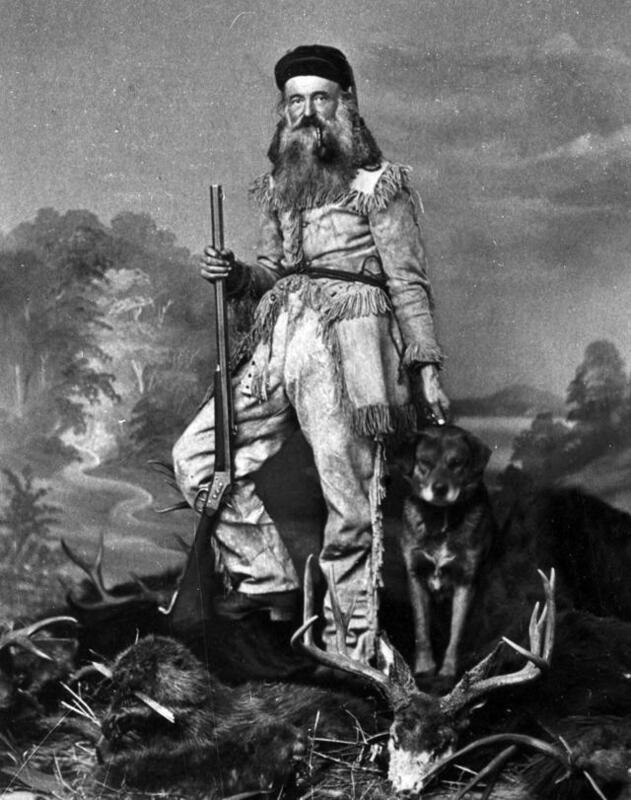 A portrait of Stephen Meek, an explorer and fur trapper in 19th-century California. Separately, a judge upheld the protection for gray wolves in California after a challenge from ranchers who worried about the threat to their livestock. A.P. In the last few months, at least five coyotes with blue eyes have been photographed in California. The eye color is extremely rare for coyotes and doesn't appear elsewhere in the country. Scientists think the newly documented canines are recent descendants of one original "one-in-a-million" mutant. Greg Louganis dove during the 1998 Olympics in Seoul. Born on this day in 1960, Greg Louganis is considered the best diver ever. Growing up gay in the San Diego area, he was bullied and believed he deserved it. So he developed a singular focus on diving, he told ESPN. "I thought that that was the only thing I had to offer as a person." In the 1984 and 1988 Olympics, he won gold on both the springboard and platform, becoming the only male diver to sweep the events in consecutive Games. But to achieve that, he had to keep a secret: He was HIV positive. Here's a powerful ESPN short on the Louganis story (~15 minutes). 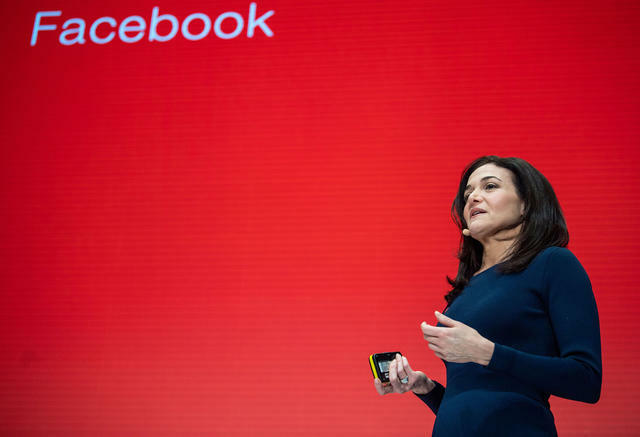 Sheryl Sandberg, Facebook's chief operating officer, spoke in Munich last week. ProPublica and a number of other organizations built tools designed to increase transparency around political advertising tactics on Facebook. Then social network quietly changed its code to shut them down. One of the affected organizations called the move "appalling." A worker at a Sacramento-area Best Buy chased and tackled a robbery suspect who was running from law enforcement. Then the electronics store fired him for breaking company policy. "I stand by it," the worker said. "I think it was the right thing." The local sheriff's department seemed to agree. "We are extremely grateful!" it said in a Facebook post, adding, "There will always be a need for great men and women to help protect the citizens of Placer County. If you feel up to the challenge, please apply!" Fun fact: Roughly half of California's landmass is protected as open space, including everything from neighborhood parks to national forests. The figure for Texas, by comparison, has been estimated at between 2 and 4 percent. It's not just California's hinterlands that are set aside. Nearly 30 percent of the Bay Area is protected. 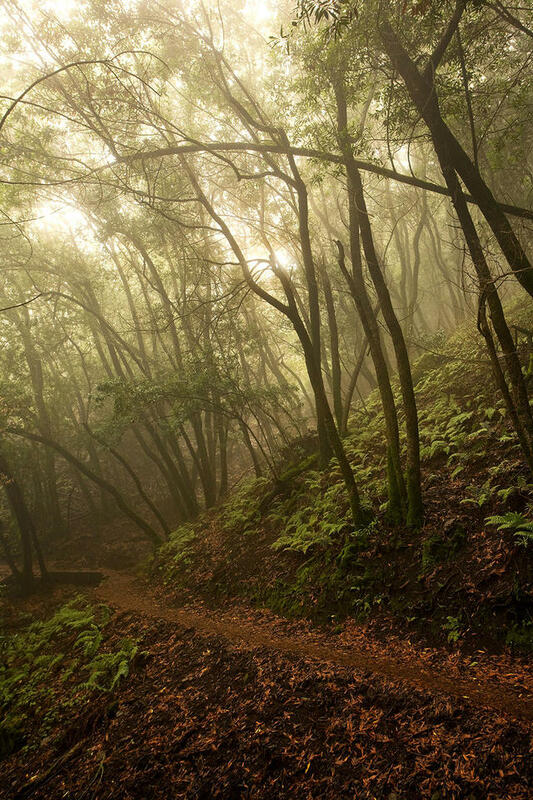 Pictured above is a trail through the Rancho San Antonio Open Space Preserve in the Santa Cruz Mountains. The computer operations staff were female at Bell Labs in Oakland. "Big computers, big hair." In the late 1960s, an operations manager at Bell Labs in Oakland brought his camera into work and captured a day in the life of the company, once on the cutting edge of technological invention. The workplace is noticeably filled with women, typical of an era when coding was viewed as women's work. Los Angeles County's new sheriff, Alex Villanueva, has drawn widespread criticism from watchdogs. 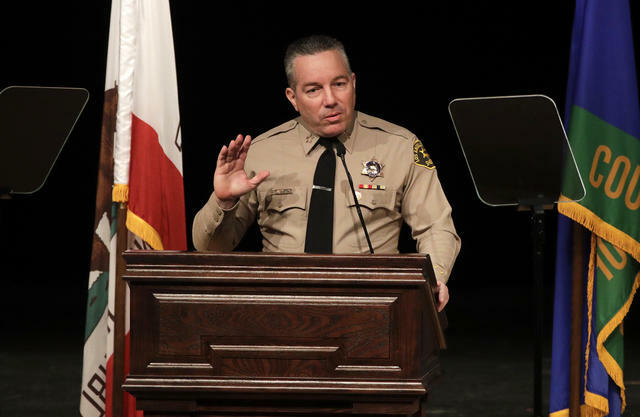 In a highly unusual move, Los Angeles County's governing body is expected to vote on a motion challenging Sheriff Alex Villanueva's rehiring of a deputy sheriff who had been fired over accusations of domestic abuse and stalking. The deputy served as a trusted member of Villanueva's election campaign last year. Authorities arrested a group of two Mexicans and 10 Chinese nationals after they arrived by fishing boat on an Orange County beach and made a run for it. There have been numerous similar incidents of migrant smuggling in Southern California in recent months. Individuals pay gangs as much as $17,000 for passage. 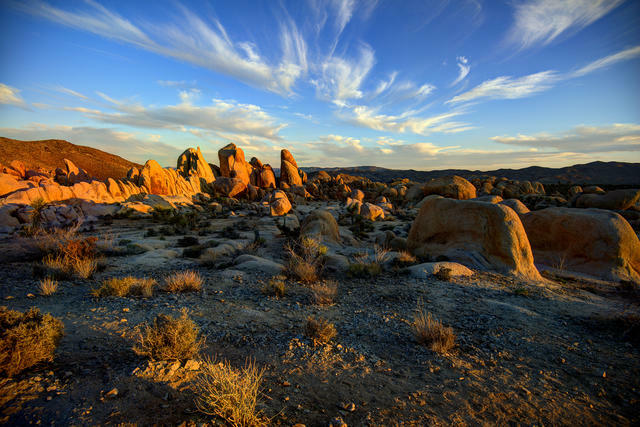 Joshua Tree National Park is one of California's most unique landscapes. After 35 days away, federal workers trickled back into California's national parks. A former superintendent of Joshua Tree National Park warned that the damage done by illegal campfires, vandalism, and vehicle travel was "irreparable." A Hollywood doctor recommended that a father give his 4-year-old boy marijuana cookies to help control his temper tantrums. The boy was given probable diagnoses of attention deficit hyperactivity disorder and bipolar disorder. California’s medical board called the decision "grossly negligent" and ordered the doctor's license revoked. Last year, a local business association in Long Beach flew out a street artist from New York and let him run amok with his paints. 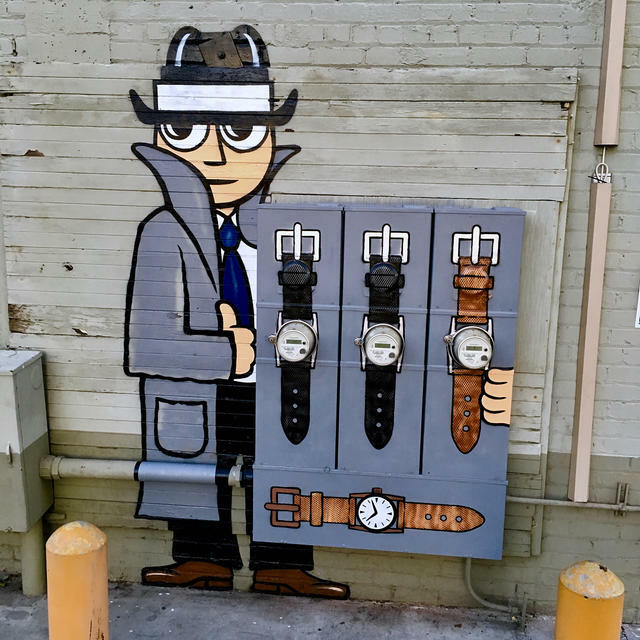 Perhaps the most popular work was his transformation of energy meters into a shady watch salesman, pictured above. When the city's mayor caught wind he reached out to the group: "I love these," he said. "Please do more." FYI: If you ever need to update your billing information or cancel your support, here's the link.